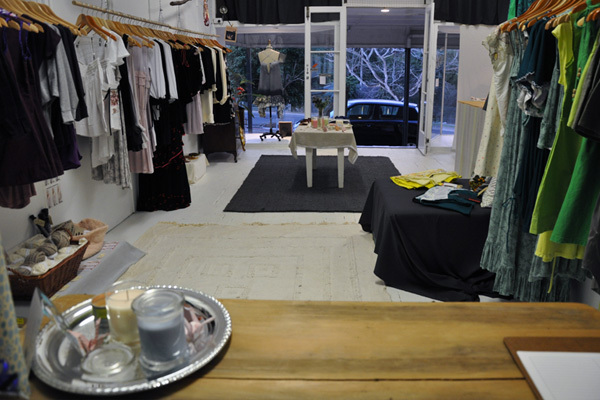 FK chats to Katie Gannon from Sunshine Coast based label Mother Maria about opening her first shop! Tell us a bit about the Mother Maria shop and the concept behind it. As I had been working from home for a number of years, I was yearning to get out of the house and into a studio space where I could spread out and make a mess! 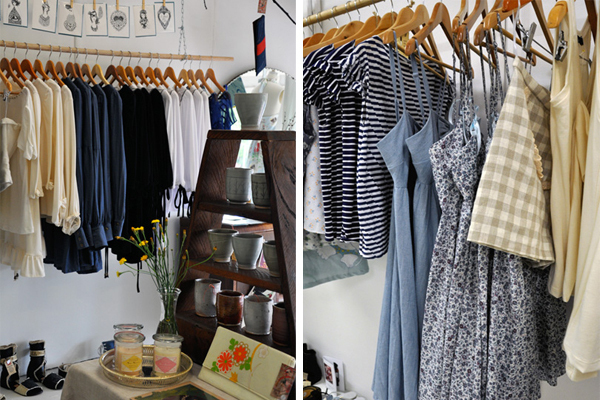 When a small old shop (110 years old, run down but beautiful) came up for rent in a local sleepy hinterland village, I immediately jumped on the chance to build a studio at the back and boutique at the front, selling my garments and a bunch of other local handmade stuff! We opened at the beginning of September. 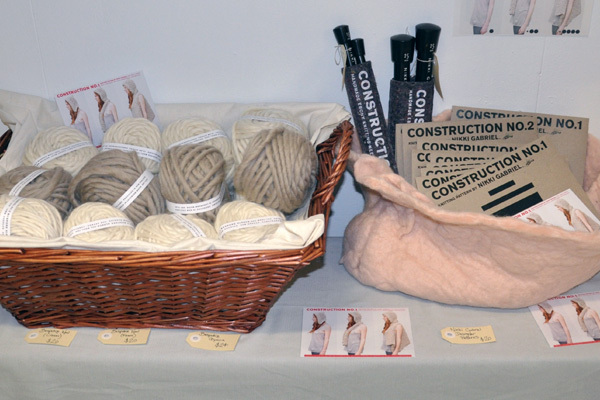 Our main motivation was to provide a space for creativity and to display local handmade goods that are hardly ever seen around our area due to the overwhelming take-over of franchise stores. 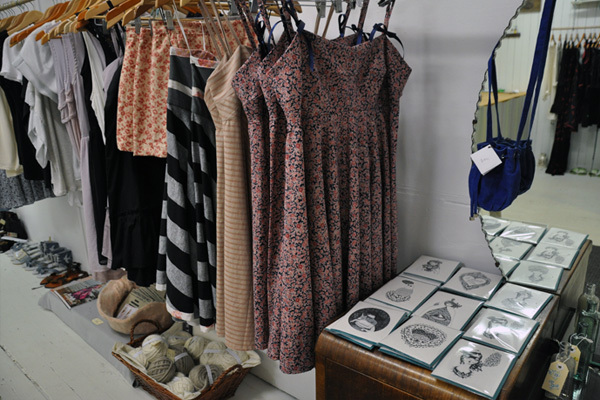 We stock mainly our own label, but also have bits and pieces from Kindling, Sae Miyazaki garments, Nikki Gabriel Wool and patterns, Dolly Did It Jewellery, Beach Vintage Soaps and Candles, Marguerite Handbags, Pendragon Shoes, L’Daim Fille Cards and Prints, and Pottery from a local ceramicist. I am always looking for beautiful handmade products, made in Australia preferably with ethical and environmental conscious in mind. 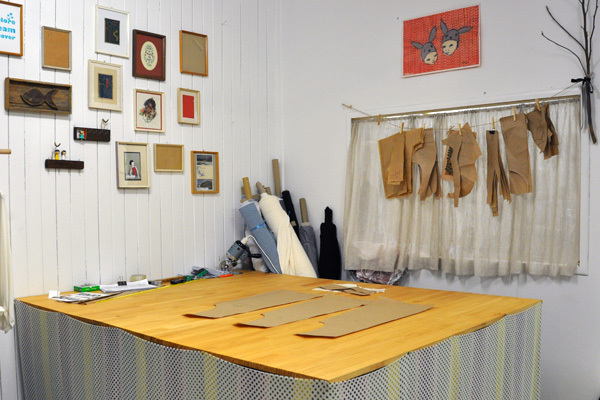 Everyone that has come into our shop has commented how amazing it is to see the process we go through to get our raw fabric into beautiful garments which end up on our shelves. Not many people actually make the connection these days that clothing is handmade, they just assume it comes from a factory somewhere far far away! Actually having our cutting tables and machines right in peoples view as they walk into the store is a bit of a talking point around town! When you are not in your shop, what are you usually doing? Playing my Cello, cooking, or reading books and blogs! What challenges have you faced running and setting up your own shop? It was quite an easy process, however as we manufacture for many other boutiques in house, there is not alot of time to concentrate on making our store everything it could be. 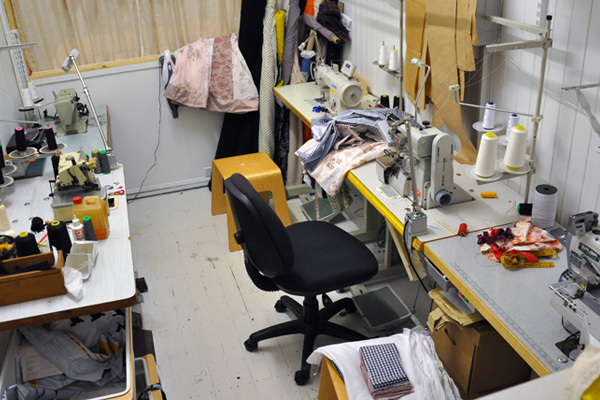 Alot of my time is taken up designing and sewing, so the poor little shop gets a bit neglected sometimes. We would have loved to have an opening party by now, and also do some sewing lessons which were on the cards for the studio, but so far we haven’t had time! There is only so much one person can do, but luckily I have a few very amazing girls helping me now, so it’s definitely going to be lots of exciting things happening in the future!